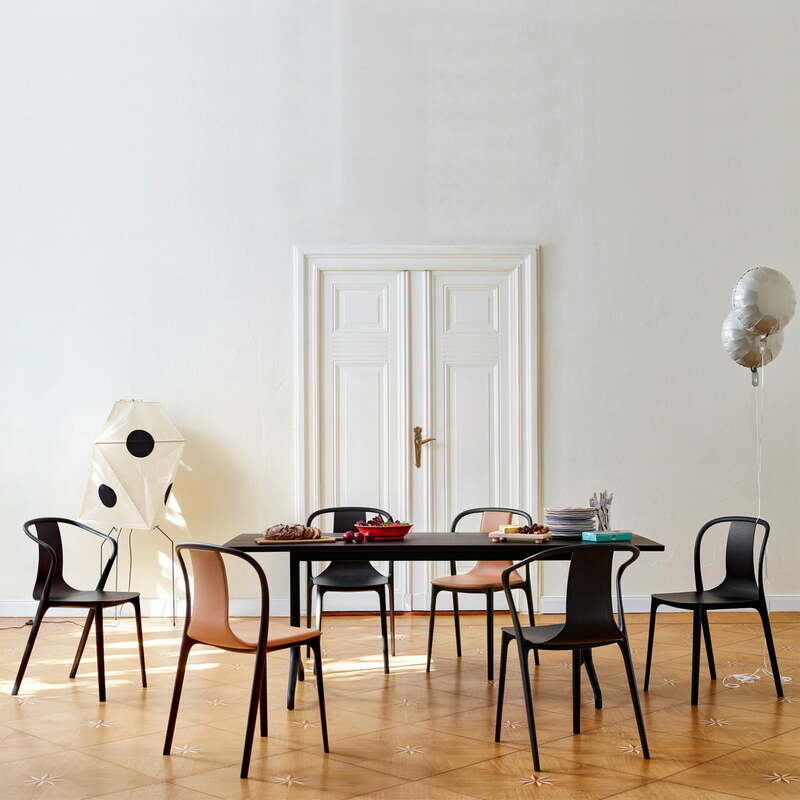 Inspired by the classic French coffee house culture in the Parisian quarter Belleville arose the correspondent collection of designs by Ronan & Erwan Bouroullec for Vitra, boasting with a slender silhouette, new materials and classical influences. The Belleville collection with its various tables and chairs for indoor and outdoor use is suitable for furnishing private rooms as well as for cafés, restaurants or galleries. 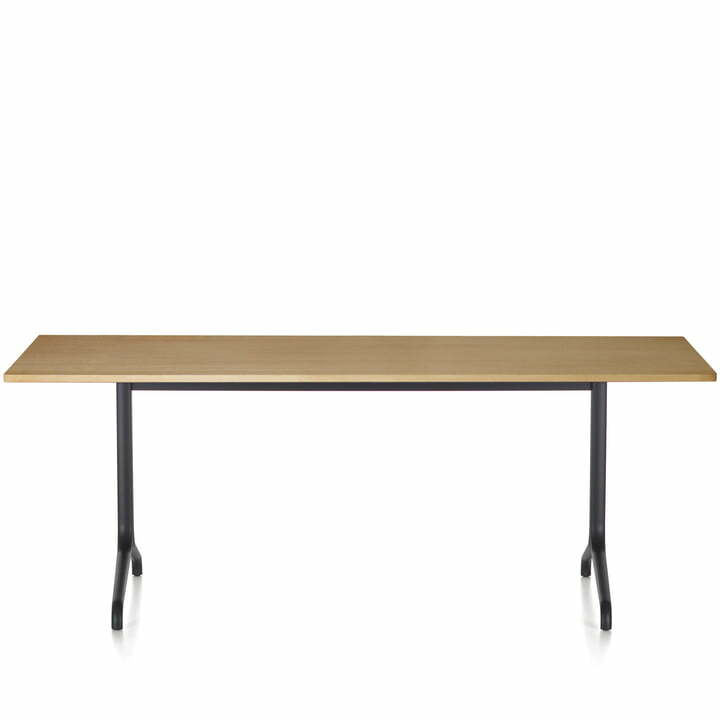 Up to eight persons can comfortably take a seat at the Belleville dining table with a tabletop of 200 x 80 cm. Made for indoor use, the Vitra table is especially suitable for welcoming dining rooms or spacious kitchens. 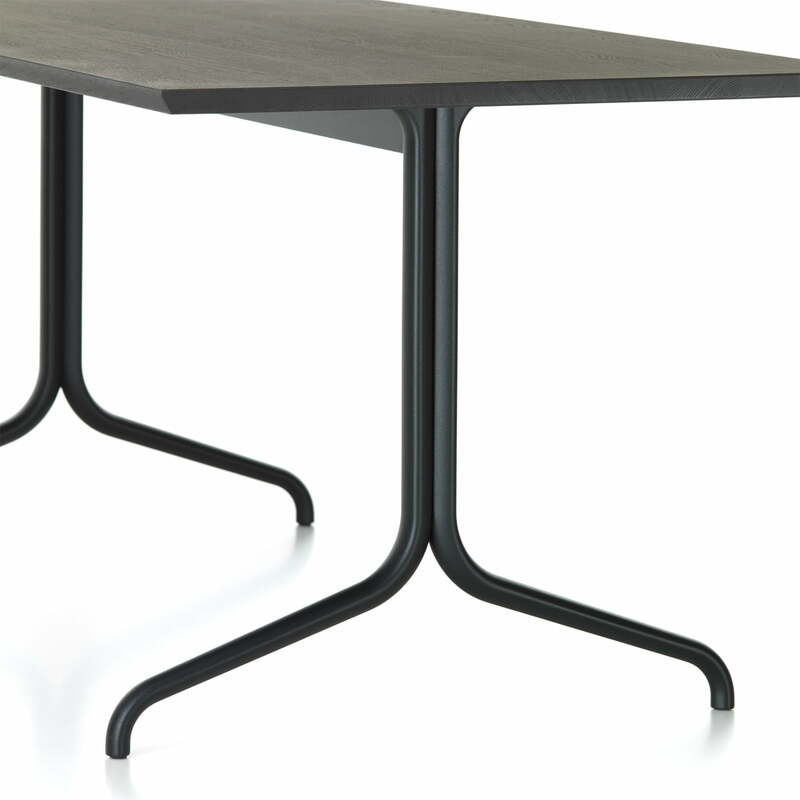 The elegant dining table by Ronan and Erwan Bouroullec consists of a base in die-cast aluminium in deeo black and is available with a rectangular tabletop in oak veneer in natural or dark colour as well as melamine in white. The Belleville table by Vitra is available in different versions with round, rectangular or a square tabletop in different sizes as a variant for indoor as well as for outdoor use, in the garden or outdoor areas of cafés or restaurants. The Vitra tables are complemented by the correspondent chair from the Belleville Collection whose seat can be individually assembled with plastic, wood, leather or fabric cover. Together, the Belleville furniture forms a uniform and yet diverse group, a hybrid family which is finely matched. Like that, the chair and table can be combined- also in large numbers - and likewise used in lively bistros as well as in private residential areas. Single image of the Belleville dining table by Vitra made from natural oiled oak with deep black legs made from die-caast aluminium. It is square-shaped and has the dimensions of 200 x 80 cm and is therefore suitable for indoor use. The single image of the Belleville dining table made shows a table for indoor use with the dimensions of 200 x 80 cm. It consists of core smoked oak wood with legs made of deep black aluminium die casting. 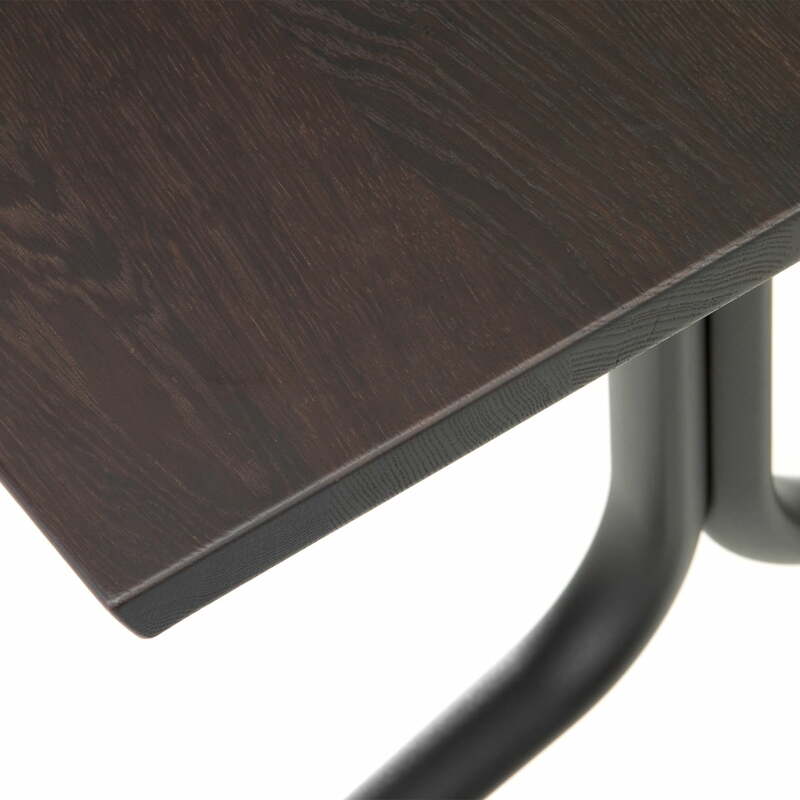 Detail view of the four legs of the rectangular Belleville table made for indoor use by Vitra with dimensions 200 x 80 cm. The legs are made of black-coated die-cast aluminium. Detail view of the top of the rectangular-shaped Belleville dining table made from core smoked oak with dimensions 200 x 80 cm. Due to its material the table is ideal only for indoor use.